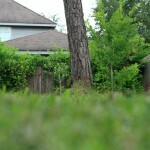 Do you know all of the trees in your back yard? This is a brief resource to help you get started. Another in the first series on James Crossman dot com, this post discusses my relationship with nature and begins a discussion on how this section can meet your needs, or at least share new worlds with you.